Over the next few posts I will show what is left in the photo dump from the recently concluded Interbike trade show held at the Sands Expo in Las Vegas, Nevada. 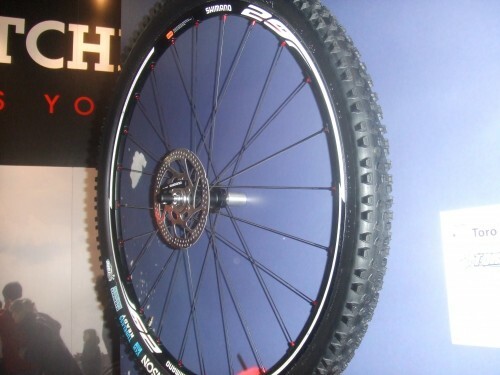 Spinergy showed this PBO spoked 29″er wheel that is rarely seen on trail. I’ve worked with these wheels before and they are pretty amazing. Spot Brand showed this cross bike with a paint job I still find really attractive even after seeing it last year here at Interbike. The Diamondback Overdrive and Overdrive Pro. Look for another test on the Overdrive and a special promotion coming soon! The Rawland Cycles booth was buzzing with activity everytime I passed by it during the show. I was able to click a couple shots of their new bikes. After a week long binge on bicycles it is time to suffer through the hangover after the high. This year’s Interbike didn’t figure as large and spectacular in the 29″er world as we might have wished. I think there are a few things that perhaps played into this. Eurobike: There is no question that Eurobike has taken away from Interbike as the place to introduce new products and bicycles. 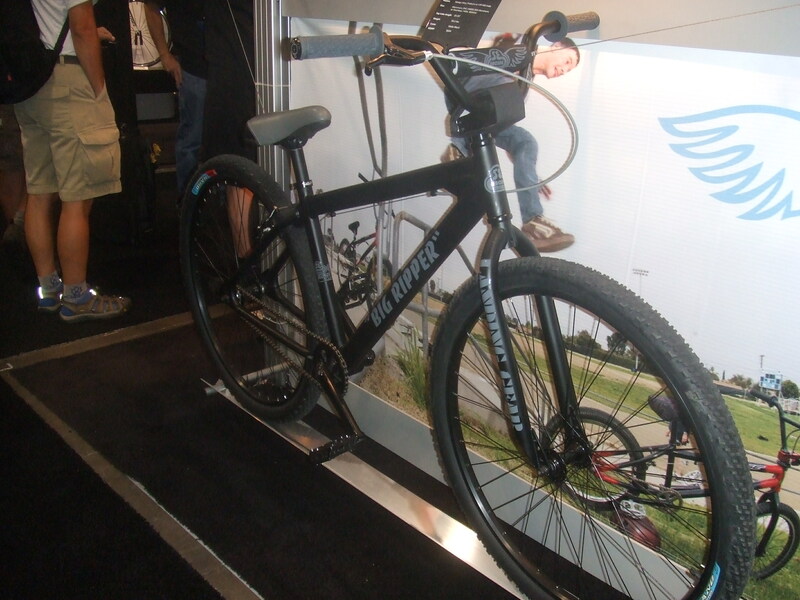 Even 29″ers are getting unvieled first at Eurobike where the 29″er market has barely any presence. 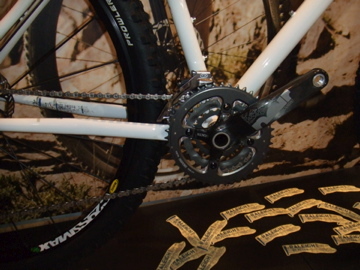 Get used to it, as Eurobike’s proximity to Interbike and Eurobike’s larger size and audience have trumped Interbike as the place to go to show the world your new bicycles and components. If the 29″er market catches on there too, Interbike will only become the place where we get to ride the products first and not the place where they are introduced first as well. Stealing The Spotlight: In a world where getting consumers attention is increasingly difficult, companies are doing their own product introductions. Specialized, Trek, Giant, and now smaller companies like Salsa have taken this road to focus attention on what they are doing. It is effective in getting attention focused on a smaller companies product that otherwise may get lost in a sea of trade show wares. I look to see more of this in the future. Take those two things into consideration and you can see that Interbike is not what it might have been without those things happening. 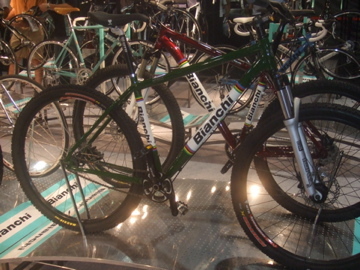 Still, it was a bit of a flat show in terms of 29″er product, especially anything we hadn’t had wind of before the show opened. Without the Outdoor Demo perhaps the only thing worth seeing at Interbike from a 29″er fanatics viewpoint would have been the redesigned R.I.P.9. Otherwise, just about everything had been previously introduced, or leaked so heavily that it lacked much impact at the show. 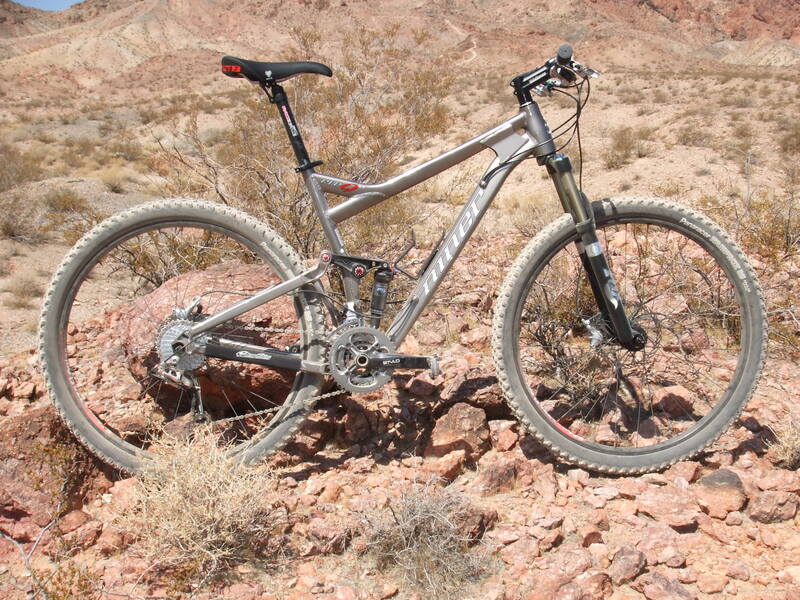 The State Of 29″ers: That’s not to say that we have much to whine about as 29″er fans. Indeed, things have never looked so good. Six inch travel bikes are being ridden, new forks are coming, race tires are here, more high end and low end choices are being added. A Post 29″er Bike World: Perhaps the lack of anything spectacular has more to do with what we have got in our hands already than what we don’t have and are not getting. 29″ers are certainly not going away, (We’ve obviously passed that question), they are mainstream and not “niche”, (That happened two years ago. ), and they are starting to become something other than a North American curiosity. 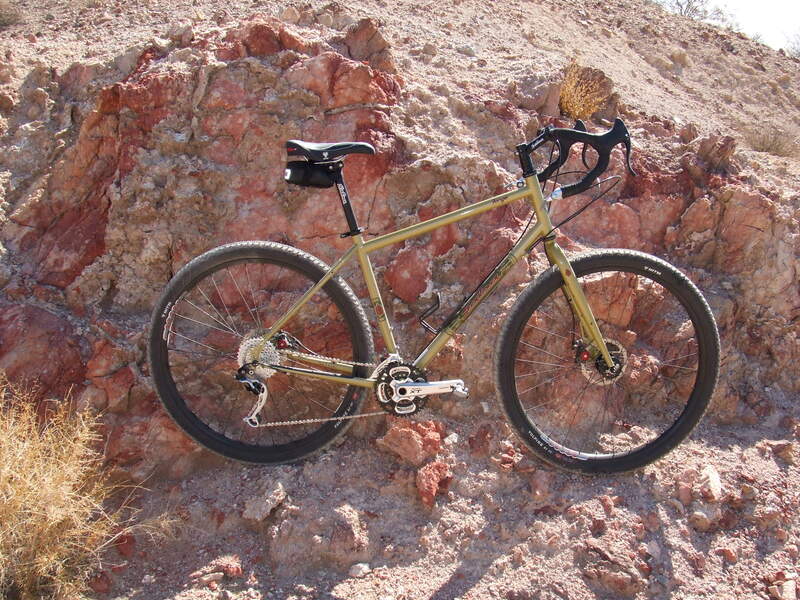 No, we don’t go ga-ga over another single speed hardtail like we did in 2003. We don’t fall all over ourselves at the announcement that “Company X” is introducing a 29″er, like we did in 2006. Now we are waiting for something really big to happen in 29″ers. The thing is, all the “really big things” have mostly already happened. Welcome to the world of “Post 29″er Bikes”. 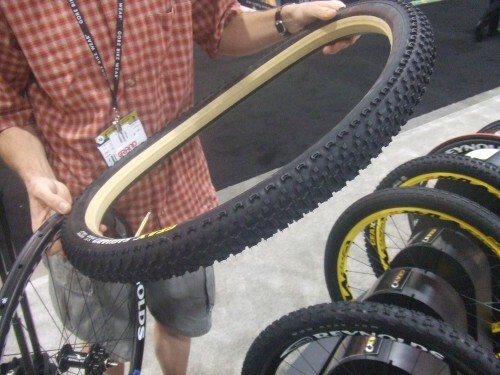 A world where any mountain bike with larger than 26 inch wheels will just be a “big wheeled mtb” and nothing more. 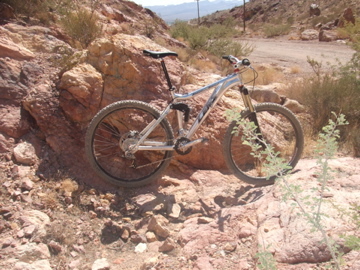 Back To The Hangover: So here we are a day or two past Interbike 2008 and what do we have? We have a pretty great selection of 29″ers, (Or should I start calling them Big Wheelers?) In the coming days I will glean out of the photo library any lingering tid bits and I will also share some more in depth information on some of 2009’s biggest new 29″er products. Stay tuned! Final day of the Interbike trade show at the Sands Expo in Las Vegas, Nevada. Here are your parting shots from the show floor. In Niner’s booth this unmarked rim was seen. 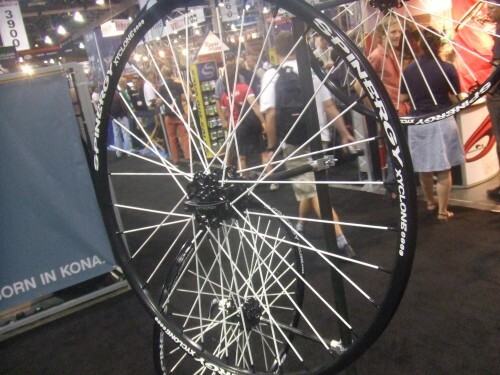 Apparently it is a prototype Stan’s 29″er rim that has just recently been given the green light for production. John “Fuzzy” Mylne told me he has been on this rim for most of the season with excellent results. The rims built into a reportedly 1350 gram single speed wheel set and have taken a lot of abuse with good results. No word on a model name or availability at this time. Geax is entering into the race tire category with this Barro Race model in what has been assured to me will be a true two inch wide casing. Did you notice that little white and yellow decal on the right of the hot patch? Yes folks, it will come out in a true to life, butyl lined UST certified model. 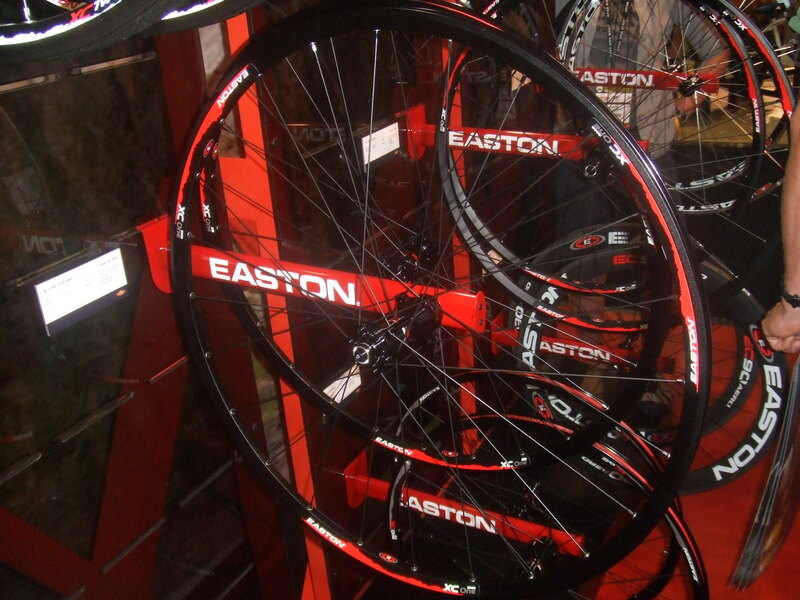 The first of its kind in 29″er tires. The UST tire will not be available until mid 2009, but a TNT (Tube No Tube) model will precede it in late 2008. Geax was also showing a 26 inch tubular mountain bike tire in the Saguaro tread pattern. 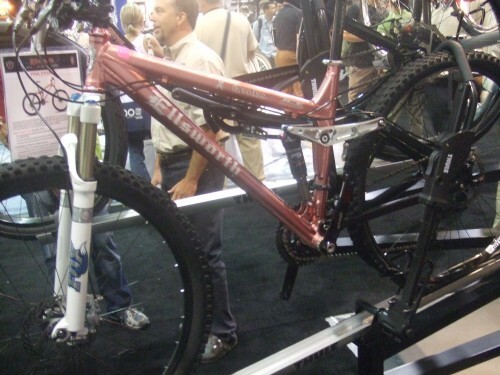 Will we see a 29″er version someday? 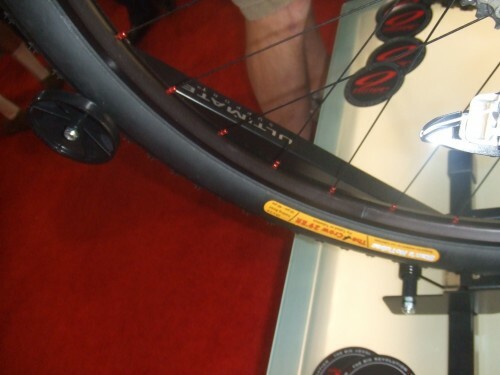 With Edge Composites working on a carbon tubular 29″er rim, we just might. 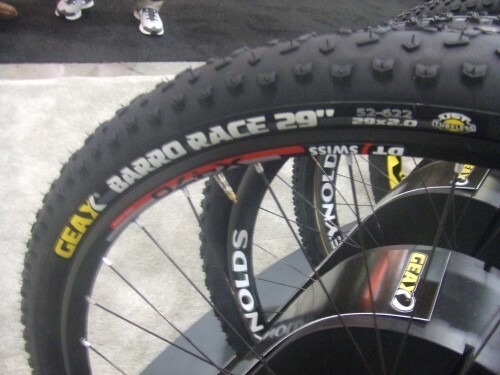 Interesting to note that Geax makes the rim for the 26″er version as well. In other Geax news, we may be seeing TNT Saguaros by the end of this year. They are definitely coming, as well as a UST version sometime later. Well, it is that time for me to dole out the honors here at Interbike. The decision of the judges is final, let’s have the envelopes please! 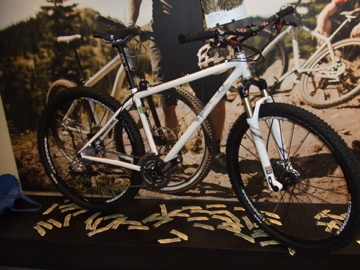 Best 29″er Of The Show: Without a doubt, the Fargo was a surprise to me to get this honor. I was fully expecting ahead of time, (based on my super-secret intelligence gathering spies abroad) that the award for Best 29″er Of The Show would go elsewhere. However; the competition didn’t come to play, and the Fargo is unquestionably the biggest buzz creating bike in the 29″er category. Congratulations to Salsa. The Fargo is your Best of Show for 2008. Biggest Surprise Of The Show: The re-design of the R.I.P. 9 was a big surprise for me. Taking all the cues learned from the development of the W.F.O. 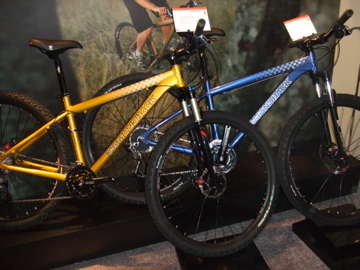 9, Niner didn’t wait to trickle that down the product line for a year, they did it right away. The R.I.P. 9 benefits by gaining steering precision and lateral rigidity that I didn’t think the R.I.P. 9 was lacking before. However; once you ride the new R.I.P. 9 platform, you will agree: Niner has propelled this bike even further up the scale of excellence. The Niner R.I.P. 9: The Biggest Surprise Of The Show. Weirdest 29″er Of The Show: Quite possibly the oddest bike at Interbike period, this prototype from Wimmer Bike is not slated for production until mid 2009. Sporting unusual technology for 29″ers at each end of the bike, the Wimmer defies description. 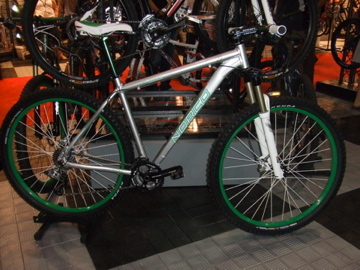 Definitely unique, the Wimmer Bike receives my “Weirdest 29″er Of The Show” hands down. That closes the Awards show for Interbike 2008. Look for further coverage from this final day in Las Vegas coming soon, and extended coverage coming in the following days. Last time I’m posting today, then it’s off to enjoy some night life around here. Take a look at the following. 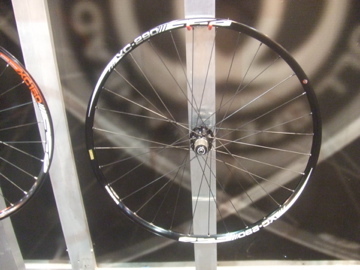 FSAs XC 290, based on the XC 390 SL wheelset, is FSA’s 29″er race wheel featuring a 23.5mm wide rim. 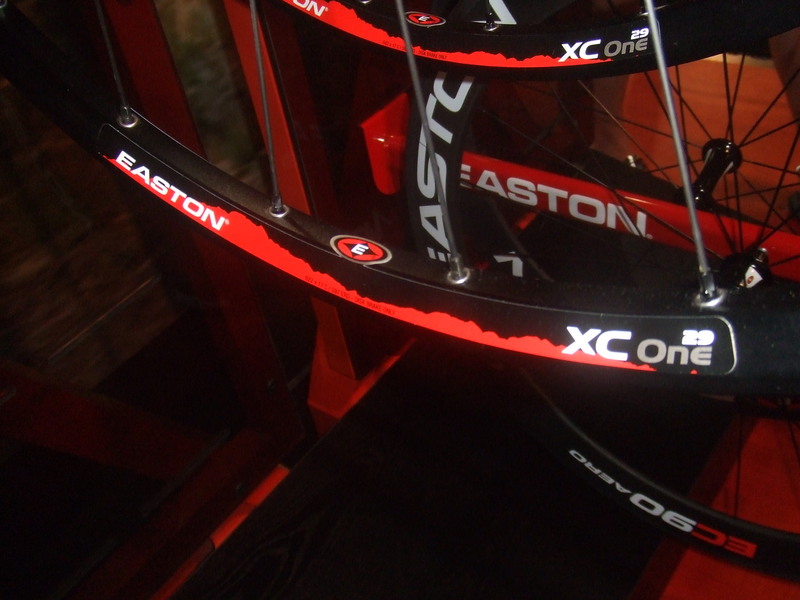 Easton also has a race wheel set or two for 29″er freaks. The XC1, available in single speed specific or geared specific versions, is available with an improved hub system over previous Easton wheels. Look for a review on the XC-1 single speed wheels soon on Twenty Nine Inches. SE Racing also offers this big wheeled BMX rig appropriately called the “Big Ripper”. 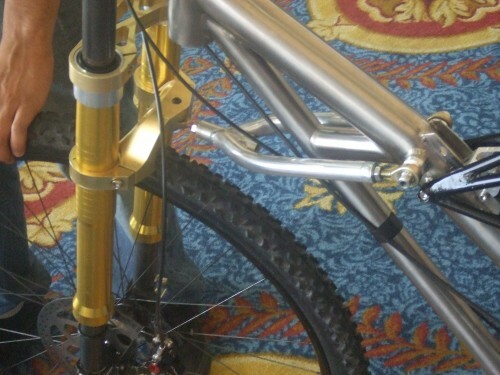 Replete with stem pad and rear only linear pull brake, big guys can now relive those BMX-ican days of yore. The Elsworth Project Pink Evolve 29″er. I saw a couple of these at the Outdoor Demo and they were pretty sharp looking dirty too. 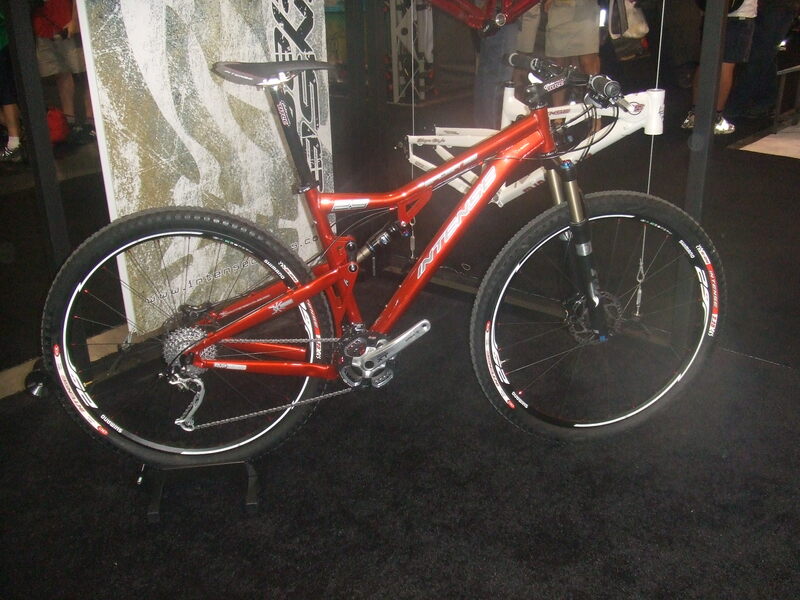 Intense Cycles showed this “hot” looking Spider 29″er with reddish/orange frame. 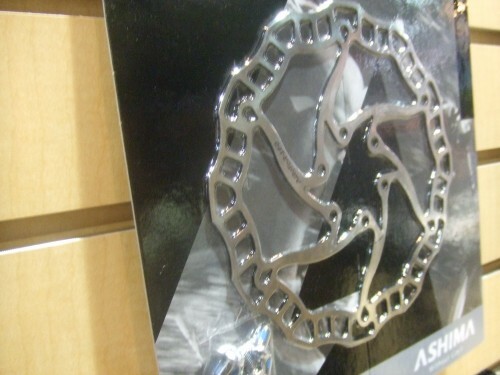 Not really a 29″er product, but cool none the less are these Ashima/Origin 8 rotors that we should be getting in to test over at The Bike Lab soon. Stay tuned for more on these hot looking rotors. More coming on Day Three of Interbike 2008. Stay tuned! 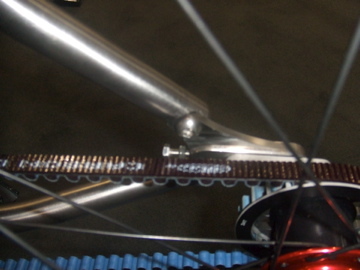 More sights from the floor of the Interbike trade show. 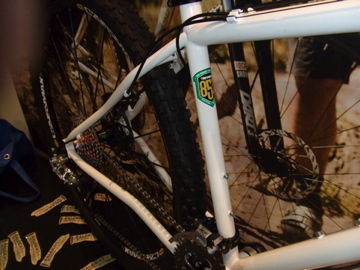 Raleigh is showing this XXIX Pro, which will be a super limited edition rig. (Perhaps only 20 or so bikes will ever be produced) The spec list reads like a dream and the frame is constructed of Reynolds 853 tubing. SRAM dominates the drive train on this XXIX Pro with these Noir cranks, X-0 rear derailluer, and Rock Shox Reba fork. Top it all off with Mavic Cr29max wheels. Nice! Orders must be in by November 1st to get your name on one. This is VooDoo Cycles take on a drop bar adventure tourer rig with 29″er wheels. Called the Nakisi, it is a proto-type for now. Check out that high rise stem, Joe Murray brazed it up himself! No word on when this would ever be available, or if it will morph over time before introduction. 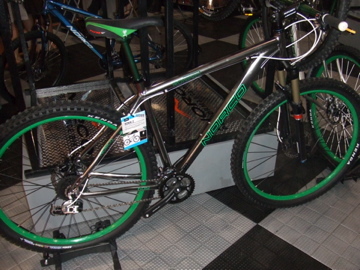 Norco was showing these interesting 29″ers with green highlights. 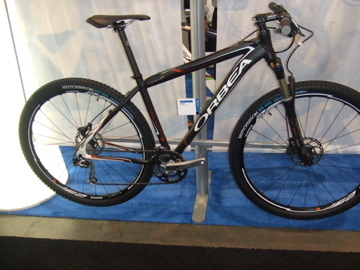 The “original” carbon 29″er, the Orbea Alma, still only available in an 18″er size. The SE Racing Stout. This year in red. 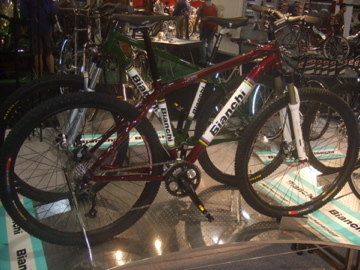 Bianchi returns the Sok 29″ers in single speed and geared flavors. The bikes spec looks to ba solid, nothing out of the ordinary here. These should be some decent rigs. Spot Brand showed their typical rad paint jobs. Look closely just above the belt on the drop out. See that bolt? 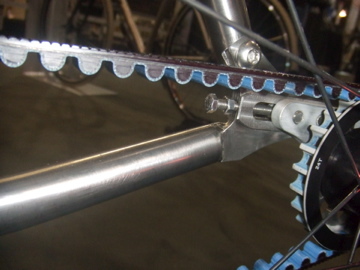 That is where you disconnect the seat stay from the drop out to thread the carbon belt drive through the frame. 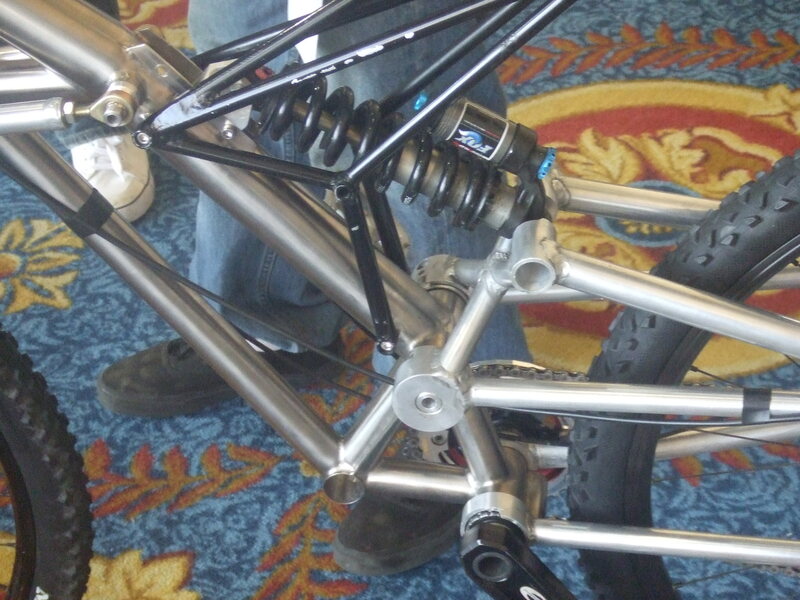 And the titanium frame the drop out above is on. Spot Brand is now offering titanium frames that have been optimized for 29″ers from Sandvik tubing and welded in house. The frames look beautiful close up. 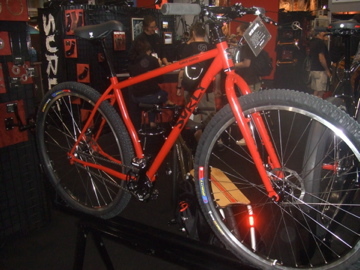 Not just another color for the Karate Monkey, but a complete bike offering from Surly on the classic 29″er frame. 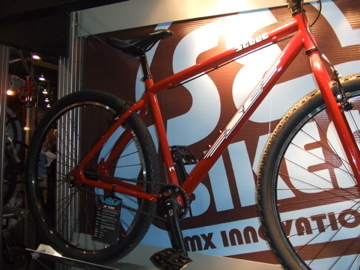 The spec includes a Mr. Whirly crank with a Salsa chain guard and a WTB SST saddle. Expect to pay just slightly north of 1100 bucks and Karate Monkey completes should be available by the end of the year. Now on to more hot and dust ridden reporting from Interbike’s Outdoor Demo Day two. This day was dominated by a big ride, but we’ll get to that in a minute here…. 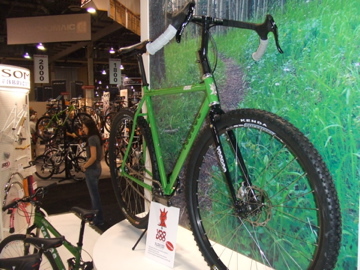 Here we have Raleigh Bike’s take on a sub-grand 29″er called the “Mojave 29”. 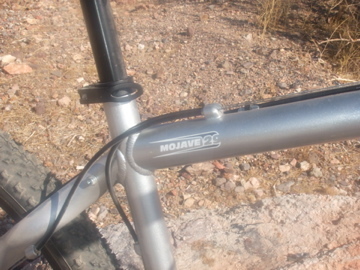 The Mojave sports some pretty decent spec with an all Shimano drivetrain, Avid Juicy 3 hydraulic brakes with a 180mm front/160rear rotors, and a Rock Shox Dart 3 fork. 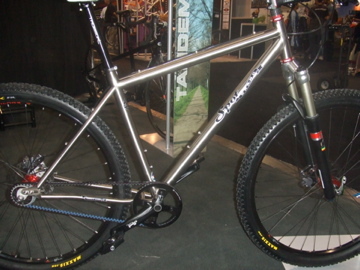 The parts spec seemed up to the task, so what about this all new aluminum frame from Raleigh? Well, it’s all hydroformed tubing is plenty stiff where it needs to be. I thought the bike was a very competent handling package, better than Raleigh’s XXIX+G, but I am told the geometry is identical. Hmm…….that may be, but this bike should be on your radar if your budget is under a grand. 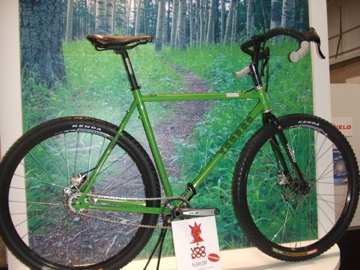 Raleigh folks are telling me that MSRP is about $950.00 on this nice 29″er. 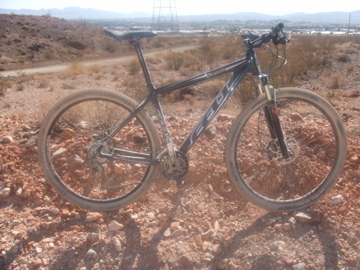 Next up we have the Felt 9 Elite Carbon bike. I must say up front that the biggest size Felt had to offer at the Demo was a size too small for me, which did hinder my take on climbing with this bike. 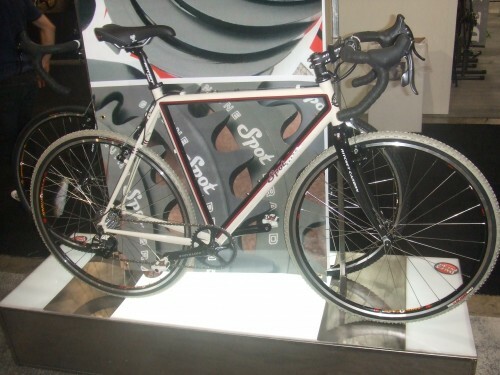 I can say that it is brutally efficient and reminded me constantly of what it was, a race bred hard tail. In fact, there are reportedly a few pictures floating around the web that show my results of an over the bars trip I had on this rig. To be fair though, it really wasn’t meant to be taken off a four foot drop! Get your “ricky-racer” on with this rig though, as it isn’t really anything but fast. No perceivable give to be found in this frame from Felt. It’s definitely stiffer feeling than a Superfly vertically. Here we have a rare one folks. A six inch travel front and rear LenzSport LunchBox. Devin Lenz continues to refine and tweak this platform into an amazing machine that defies conventions and would still qualify as the “eye opening” bike I said the ’08 LunchBox was I rode here last year. The tweaks have made improvements to the front end handling and of course, the short chain stays with an inch more travel are surprising in that they still clear the biggest 29″er tires out there with ease. I took the LunchBox on an extended ride that started out with a long service road climb. The road surface was filled with soft, shaly, and granular “sand pits” that didn’t make the bike flinch in any way. Sometimes climbing in this sort of terrain reveals a front end that wallows and flops, but not the LunchBox. Climbing this beast was actually enjoyable. Once pointed down, you can imagine that six inches of travel can bail you out of a lot of “rookie” mistakes, and you would be correct. I will readily admit that Bootleg Canyon is not my “backyard” or that this sort of “chunk” riding is not high on my level of skill assets, so be aware that I am coming from that background. That said, the LenzSport rig is a blast to ride and makes you want to do things you maybe shouldn’t be trying because the rig is more capable than the rider, (In this instance, anyway). 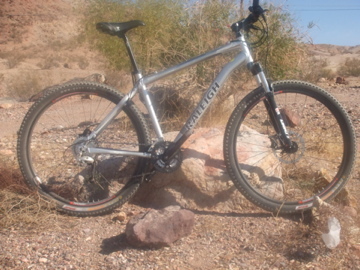 The bike climbs with a smoothness that belies it’s long travel. Descending makes trail obstacles seem insignificant, but really, there is something more to that than just having six inches of travel on offer. 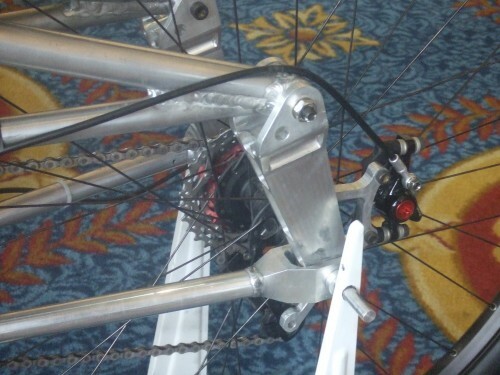 The suspension needs to be balanced front to rear and be predictable in its performance to make having six inches of travel anything usable on a 29″er. The geometry needs to be predictable and stable all throughout that travel. That is a tall order for anybody making a 29″er and this coming from a virtual “one man show” makes the LenzSport even more amazing. It’s still in the “tweaking” phase, but this bike sets a high bar for anyone taking on the long travel 29″er platform in the future. 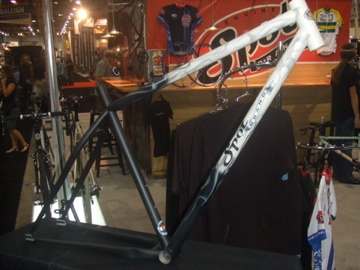 Check back later for more news from Twenty Nine Inches here at the 2008 Interbike Trade Show. You are currently browsing the The Big Wheeled Ballyhoo blog archives for September, 2008.